Psynthetic is the dj name of Paul Scott is an Aphid Records Dj and promoter of psychedelic trance night 'Pulse' in San Fanscisco. 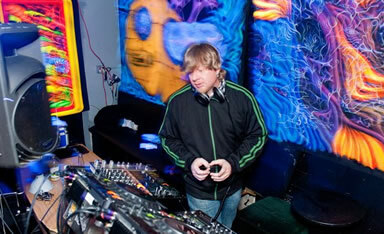 He has been a DJ and promoter since 1999 and founded the g.o.a.Play collective that same year. Responsible for producing the now legendary Taco Portal and Gratitude parties early in the decade, Psynthetic's musical journeys have allowed him to share the stage with some of the biggest and best psytrance producers in the world. Tapping into the moment at hand, every set is always different. His intent is to play songs that shake your body and your mind.